make most water bacteriologically suitable for drinking, proving effective against Giardia lamblia when used as directed. Each Potable Aqua tablet contains 20 mg of Tetraglycine Hydroperiodide (TGHP), which liberates 8 mg of titratable iodine when released into water. Within 30 minutes, the iodine will have penetrated the cell walls of the microorganisms, rendering them inactive and making the water bacteriologically suitable to drink. 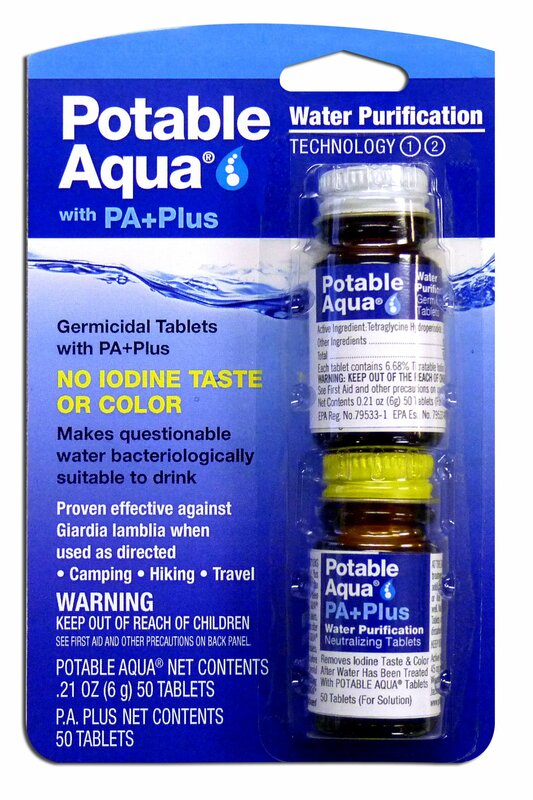 Potable Aqua Plus Tablets neutralize the iodine aftertaste and color, improving the taste of your drinking water.